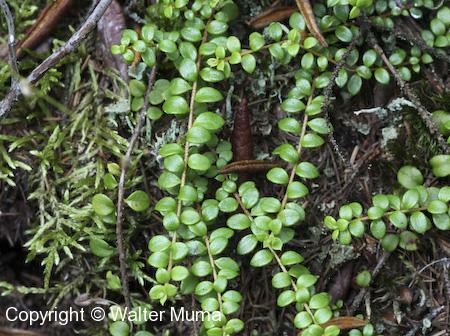  Black Crowberry (Empetrum nigrum) - Fruits are black. Edible: Berries are edible; taste mildly of wintergreen. Photographs: 112 photographs available, of which 3 are featured on this page. SCROLL DOWN FOR PHOTOGRAPHS. 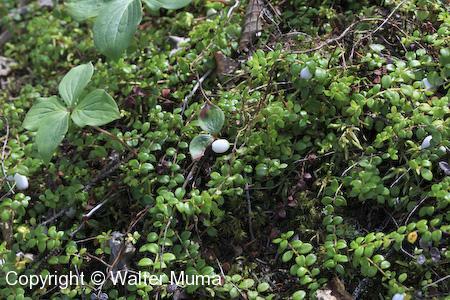 Creeping Snowberry is a small trailing plant with tiny leaves. 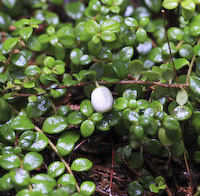 Creeping Snowberry fruits are white, which gives this its common name. 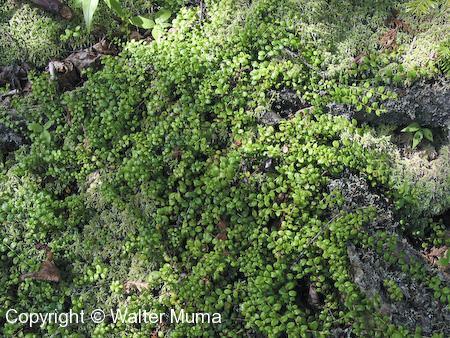 A mat of Creeping Snowberry.